The Baby Carrier Industry Alliance reports that baby carriers are now the fifth most popular item on baby registries. While these items seem to be the latest fashion in parent accessories, they serve some benefits as well. Baby carriers are designed to help all those active parents in carrying their babies and keeping them safe in anything they would like to do. Over the years, carriers have become coveted and valuable for every mother around the entire globe. With the increased production of such products in the market, a new mother may have a hard time in choosing the best baby carrier to fit their and their child’s needs. While some mothers may not find a need for a carrier, others find that they play a very vital role in keeping the baby close to the mother while allowing their hands to be free to do chores. Some mothers swear by them for calming a fussy or colicky baby and to help promote a closer bond with their baby; some believe they may even help lower a mom’s risk for postpartum depression. As much as baby wearing has been in existence for centuries, the current and growing technology has, for the last few years, presented incredible options to choose from when it comes to comfort, functionality and modern design features. The newest carriers have evolved designs with vintage backpacks, papooses, wraps and slings to make them strong. 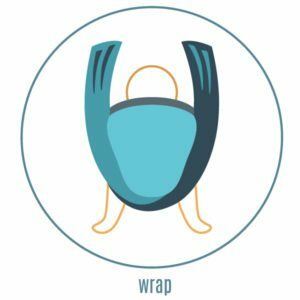 Learning to wrap may seem intimidating at first or even frustrating while trying to tie properly, but can be mastered with practice. A quality baby carrier can be of great help to parents—especially in traveling moments. 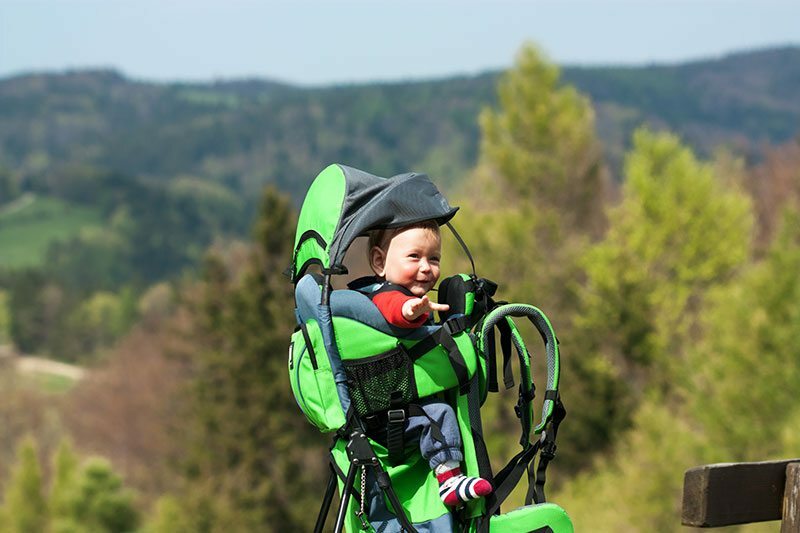 Due to the comfort and convenience of the carrier, many people prefer the product to a stroller. Wrap carriers are the most commonly used type of carrier and are designed to wrap around the mother and the baby. These types of carriers are broken down into expanding subcategories based on the materials and fibers used to make them. For example, knit jersey or stretchy wraps are ideal for newborns and gauze wraps are perfect for warm weather. Wraps can be used to carry an infant, toddler or small child in a variety of positions including front, hip and (if made of woven fabric) on the back. 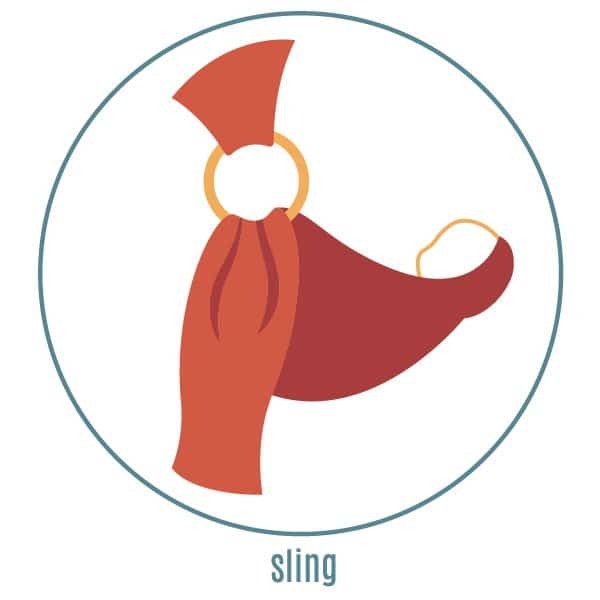 A sling can be defined as a single piece of garment that passes over the shoulder of the wearer and formulates a pouch to hold a baby on the hip or the chest. Sling carriers come in two types: ring slings and pouch slings. A ring sling is a modern adaptation of traditional one-shoulder carriers found in cultures around the world and consist of metal or nylon rings securely attached to the end of a piece of fabric. The fabric’s tail end of the sling is threaded through the rings to adjust to the baby and wearer’s body. In comparison, a pouch sling is a simple tube of fabric worn over one shoulder like a sash. This type of carrier is used much like a ring sling but without the ability to adjust the size of the sling each time it is used. This style of carrier has an aluminum or alloy frame and it is mostly used for carrying older babies on the back for a substantial time. From hikes on nature trails or less exotic trips to the mall, the zoo or just to walk the dog, these styles of carriers are designed for children old enough to sit up independently, with full head and neck control, although some carriers feature moldable head and neck support for babies as young as 3 months old (however, based on consumer reports, this is still not recommended until the baby is older). These frames are designed with padded belts to distribute the weight of the baby and carrier along the wearers back, shoulders and hips, rather than all on the shoulders and neck, as some front infant carriers do. Due to the framing in the carrier’s design, these styles, while able to lay flat, tend to take up more room for storing. This is almost similar to the baby backpack, but it has some added straps and buckles to make it secure. The straps feature padding, thus making them comfortable on the shoulder. Most soft-structured carriers feature a thickly padded waistband and shoulder straps for a comfortable and ergonomic fit and can be used for front or back carries. The straps typically are adjustable for a custom fit and often these carriers have additional features such as sleep hoods, storage pockets, adjustable seats, etc. These styles of carriers are popular for their simplicity to get on and off, but offer the same skin-to-skin benefits of wraps, slings, and mei tais. 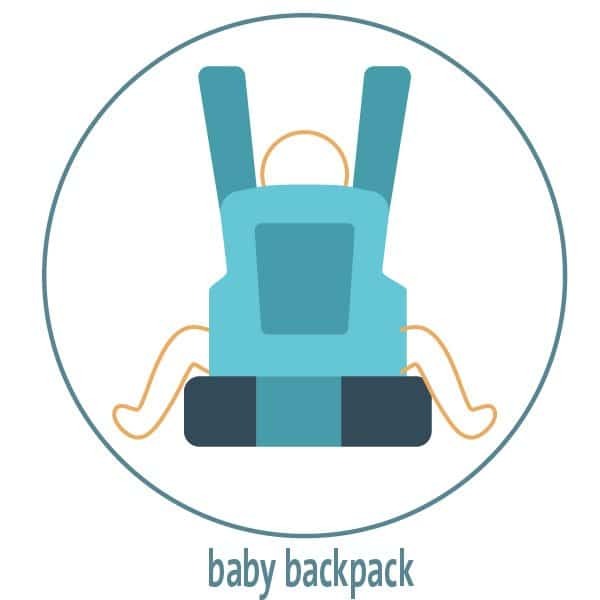 While many of these styles of carriers are suited for infants and toddlers, some may require the use of a special infant insert for children under a certain weight and size. The Chinese mei tai (pronounced “may tie” not “my tie”—it’s a carrier, not a drink, Mama) is a hybrid between a soft-structured carrier and the wrap. These styles of carriers come with four straps which are attached to the actual carrier, thus there is a panel of fabric with two shorter straps that go around the waist and two longer straps to wrap over the shoulder. 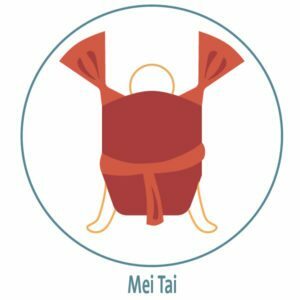 Modern mei tai straps are often padded or made wide to provide extra comfort. Babies can be carried in most styles of carrier as a newborn up to toddler, however, it is essential to keep one thing in mind: Babies need to be at least 4 to 5 months old before their neck muscles are strong enough to support their head. 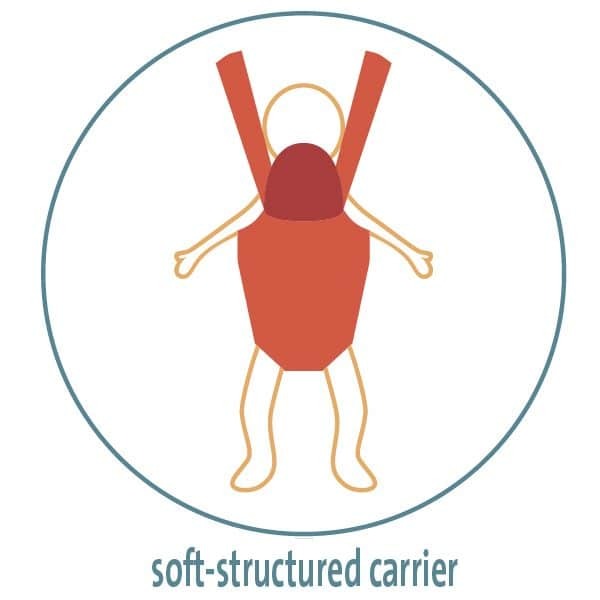 For babies carried in a carrier who cannot hold their head up by themselves, you need to make sure the carrier provides enough support for the baby’s head to rest on. Newborns and young babies without the neck muscle strength are better suited inside a sling or a wrap where they can face toward the wearer and rest their head against the wearer’s body. Baby carriers such as backpack styles are usually hard and firm to give a sturdy support. Therefore, a small baby might find it uncomfortable to sleep inside a rigid carrier. For this reason, older babies of 6 months to toddlers are the key users for these while a baby wrap or a sling made from soft fabric will be a more comfortable option for newborns. You must note that the different carriers are used differently on babies of varying age. The versatility in any carrying position is a significant factor to look at when making a purchase. As your child grows, the harder it will be to carry them in the most comfortable way possible, thus the riding positions are on the back may be more preferable than those at the side or on the chest of the wearer. The baby carriers in the market today come in different designs, and thus the prices vary. However, it is important to work within your budget limits and ensure that you get the best quality of carrier. Just like everything else, the cost of a baby carrier can vary depending on the functions and features you are looking for. Basic wraps or slings may range from $30 to $100 while backpack and soft structured style carriers may range from $130 to $300. The key is to identify your need for the carrier and when you plan on using it to ensure which carrier is best for your lifestyle so you aren’t overspending for an item you don’t need. It is crucial to use the carrier appropriately, especially if you are handling a newborn. This is because their developing muscles need extra support and comfort. Keeping the baby tight, always in view, close to kiss, chin off your chest and with a supported back and neck is highly advisable. Here are a few other safety factors to consider with newborns and infants. Open breathing: Make sure you can see the baby’s face at all times. Avoid having the baby’s face press into your body and do not cover the baby’s face with a blanket, sling fabric or nursing covers to ensure your baby can breathe easily while being carried. Leg support: In addition to proper support of the neck and back, keeping the hips of the baby well supported can also limit the risk of infant hip dysplasia. There should be minimal force on the hip joint, providing legs and hips a supported and stable position. Avoid carriers that force a baby’s legs to stay together but allows legs to separate and be supported. To accomplish both these factors, look for a sling or wrap that allows the baby’s legs to wrap around the wearer’s waist rather than hang down or be bundled up. Be Attentive: Attend to and check on your baby often, especially those less than 4 months of age, to ensure they haven’t shifted or slid in the carrier. Consult an expert if your infant was born with a low birth weight, such as a preemie or twins, or if your infant has respiratory illness or other respiratory problems. Buying a carrier that is simple to handle when carrying your toddler could be an excellent idea. Additionally, the carrier you choose must serve you for the desired period. Due to the growth of technology, today’s carriers are made of sturdy materials making them serve customers for a long time and offer a longer use time for children.